Friends, colleagues remember community leader James Gilliam Sr.
James H. Gilliam Sr., civic leader and role model, died Sept. 10, 2015, at the age of 95. 1:29 p.m., Sept. 14, 2015--The University of Delaware community joins individuals from across the nation in remembering James H. Gilliam Sr., the inspirational civic leader and role model who died Sept. 10 at the age of 95. The many honors and awards he accumulated over a lifetime of service to others included an honorary doctor of humane letters degree from UD in 1999. UD trustee and alumnus Tony Allen, who considered Mr. Gilliam his mentor and best friend, told the Wilmington News Journal, "I feel like he was the conscience of our community. His presence made us better. His legacy will push us to not sit quietly while things happen to people who have less voice." In a special Delaware Voices column in the Sept. 13 News Journal, Allen recalls his best friend. "Regardless of what you looked like, where you came from, or who you loved, Jim Gilliam wanted the SAME things for you that you would want for yourself and for those you love the most," he wrote. "James Gilliam was known for challenging Delaware leaders at all levels of government, business and community to work harder to change the issues that create educational, economic and social disparities throughout Delaware. His legacy of service will continue to make positive impacts in this community for generations to come," said Rick Deadwyler, director of government relations at UD. "Our prayers and well wishes for comfort are with the entire Gilliam family." A private memorial service will be held on Saturday, Oct. 3. Later that day, the Gilliam family will host an open community reception, beginning at 2 p.m. at Cokesbury Village, 726 Loveville Rd., Hockessin. 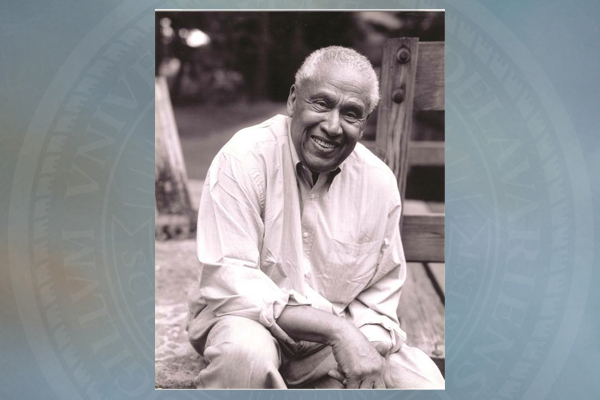 In lieu of flowers, the family requested contributions to the James H. Gilliam Sr. Fund for Social Justice and Equity, which will be housed at the Delaware Community Foundation. Contributions may be sent to: James H. Gilliam Sr. Fund for Social Justice and Equity, c/o Delaware Community Foundation, Post Office Box 1636, Wilmington, DE 19899. Born Aug. 6, 1920, in Baltimore, he earned a bachelor's degree in sociology from Morgan State University and a master's degree in social work from Howard University. After he graduated, he joined the U.S. Army, where he served from 1944 to 1948 in the African-American World War II division known as the Buffalo Soldiers. He was a combat veteran of the North Apennines and Po Valley campaigns on the Italian front. In 1950, he was recalled to duty as a captain in the Korean War. After his tour of duty, he returned to Baltimore and began a distinguished career of public service. In 1954 he became a psychiatric case worker supervisor for the Maryland State Department of Health, then a management aide for the Housing Authority of Baltimore in 1955 and chief of renewal operations for the Baltimore Urban Renewal and Housing Agency in 1963. In 1965, he moved to Wilmington as director of Neighborhood and Housing Services for the Greater Wilmington Development Council. In 1968, he was one of a very few residents authorized to walk the Wilmington streets to help quell the unrest during the National Guard occupation following the assassination of the Reverend Dr. Martin Luther King Jr. He joined Leon Weiner & Associates as executive vice president in 1970 and a year later, took a leave of absence to carry out Gov. Russell Peterson's request to overhaul Delaware Family Court. Three years later, he became the first director of the New Castle County Department of Community Development & Housing, a position he retired from in 1990. Nine years later, he founded and served as chairman of the Metropolitan Wilmington Urban League. Throughout his career, he negotiated, fundraised and helped develop numerous community organizations, serving in various leadership capacities, including president of the National Urban League Development Fund, board president of the Children's Bureau of Delaware, board member of the Medical Center of Delaware, president and chairman of the board of Community Housing Development Inc., member of the Wesley College Board of Trustees, commissioner of Speer Trust, director of United Way of Delaware, and elder of the First and Central Presbyterian Church. He also served on the state of Delaware Board of Parole. For more information on Mr. Gilliam's life and to leave online condolences, visit Delawareonline.com.